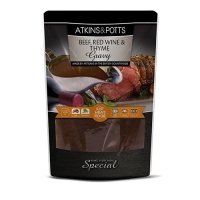 A gourmet gravy made with fine white wine and a subtle hint of tarragon. 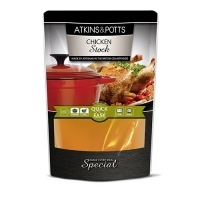 Simply heat and pour over roast, steamed, pan-fried or grilled chicken. 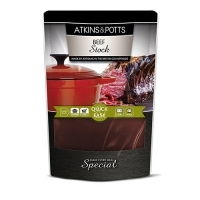 Add a spoonful of Atkins & Potts Red Onion and Jalapeño Relish to add spice, or fold in double cream for extra smoothness. 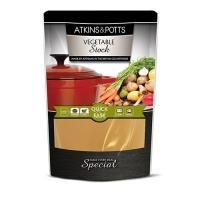 The perfect base for casseroles, soups, sauces, risottos and other gourmet dishes. 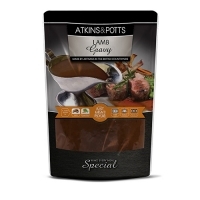 Simply pour into the dish or soup you are making for extra depth of flavour. 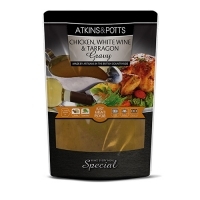 A classic gravy made from delicious chicken stock with a dash of fine white wine. 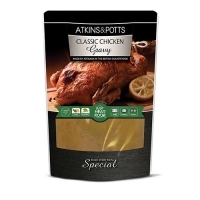 Simply heat and pour over roast, steamed, pan-fried or grilled chicken. 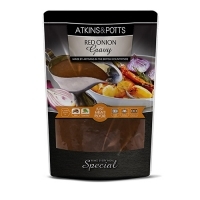 Add a spoonful of Atkins & Potts Red Onion and Jalapeño Relish to add spice, or fold in crème fraîche for extra smoothness. 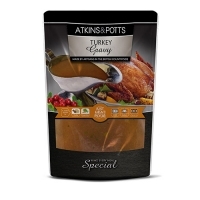 Simply heat and pour over roast, pan-fried or grilled turkey. It’s also excellent with meatballs or mashed sweet potatoes. 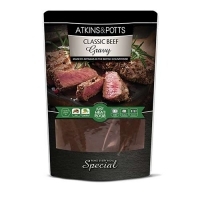 Add fresh chopped thyme or parsley to make a meal extra special.